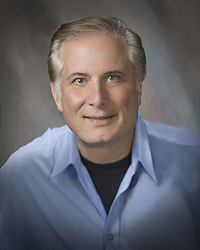 The staff at Blanco Circle Dental Care are pleased to announce that Dr. Gary Klugman has won two awards in the Summer 2013 Top Doctor Competition on HealthTap. These awards are the Top Doctor in the Salinas Region and the Thought Leader in the Salinas Region. He is receiving recognition for helping 92,146 people through HealthTap, making him a recognized expert. HealthTap is an app for mobile phones that serves to connect people to free, independent and reliable health information. It’s also a good resource for patients to discover and connect with a variety of doctors, physicians and health professionals. Dr. Klugman has been taking the time to use his dental expertise to answer dental questions from patients across the country. We are excited to see that Dr. Klugman is getting recognition for being his caring, helpful self. Next time you see him, tell him congratulations for all that he does to help share his knowledge. If you have any questions about your smile or dentistry, don’t hesitate to ask! Dr. Klugman loves to help everyone in any way that he can.